Dental mouth guards have long been used to protect the teeth, gums and supporting tissues from damage, injury and trauma. 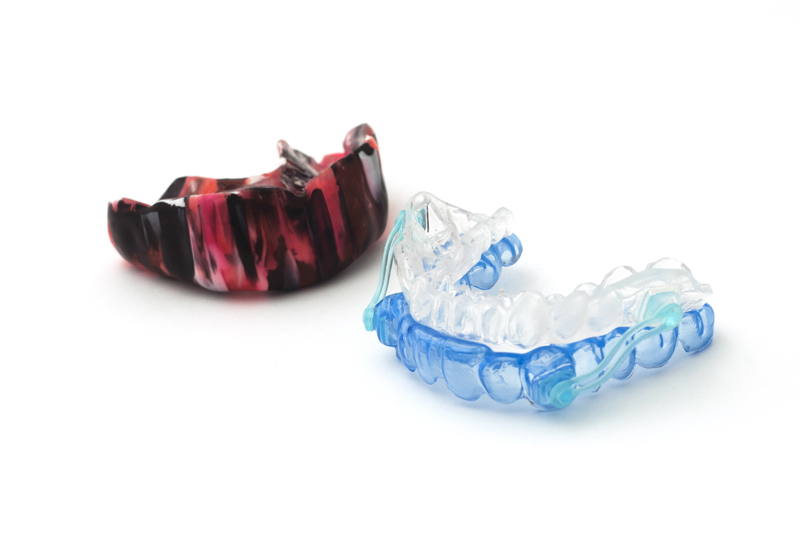 There are two types of dental mouth guards – over the counter and custom. While OTC guards are helpful for occasional use, many Tracy dental patients require the benefit of a customized dental mouth guard fitted by a dentist to effectively prevent injury. What should I expect when my Tracy dentist fits me for a mouth guard? Your visit will consist of taking an impression of your teeth that will be used as a mold for your new mouth guard. You may even be able to leave your Tracy dental appointment with your custom mouth guard in-hand. Before you leave your Tracy dentist’s office with your new mouth guard, you’ll receive instructions for how and when to wear it. If you suffer from TMJ disorders or bruxism, for example, you will likely wear your mouth guard at night. If you participate in recreational sports, however, you may only need to wear your mouth guard during physical activity.